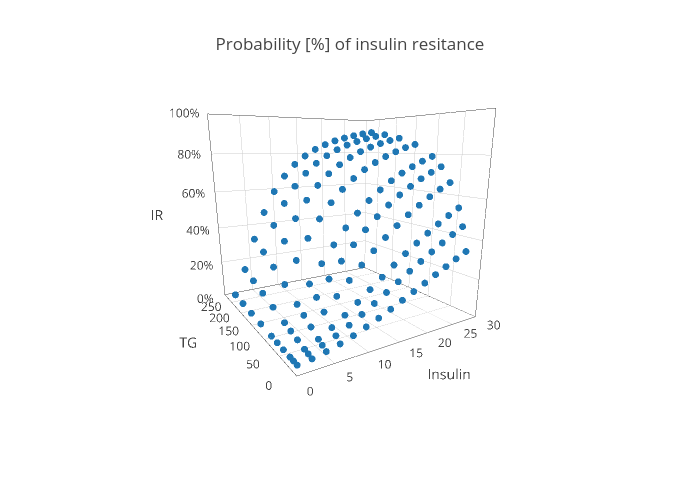 I am starting this site with an Insulin Resistance Calculator. All you need to do is enter your fasting glucose and triglycerides. As a results you will get 2 values – McAuley Index itself and probability of currently having insulin resistance given the values you provided. Why use calculation based on McAuley et al. ? It allows you to calculate your risk of having insulin resistance with just 2 parameters. At the same time you get the same predictive value as with more complex measurements, like glucose challenge with insulin at every point. For for details of its predictive value go to my short post about it or read a recent paper comparing various methods of assessing IR by Abbasi et al.